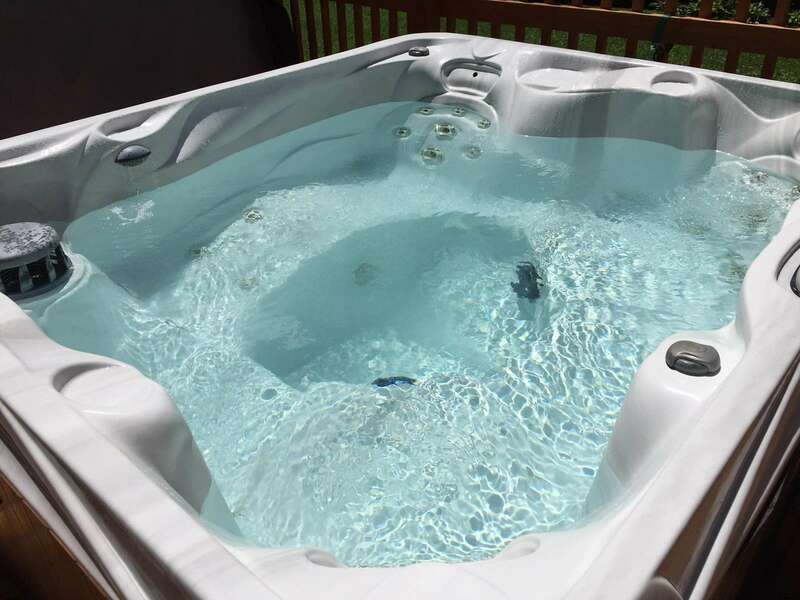 Sparkling Hot Tub awaits... Catch your Dinner and Enjoy your Peaceful Paradise... 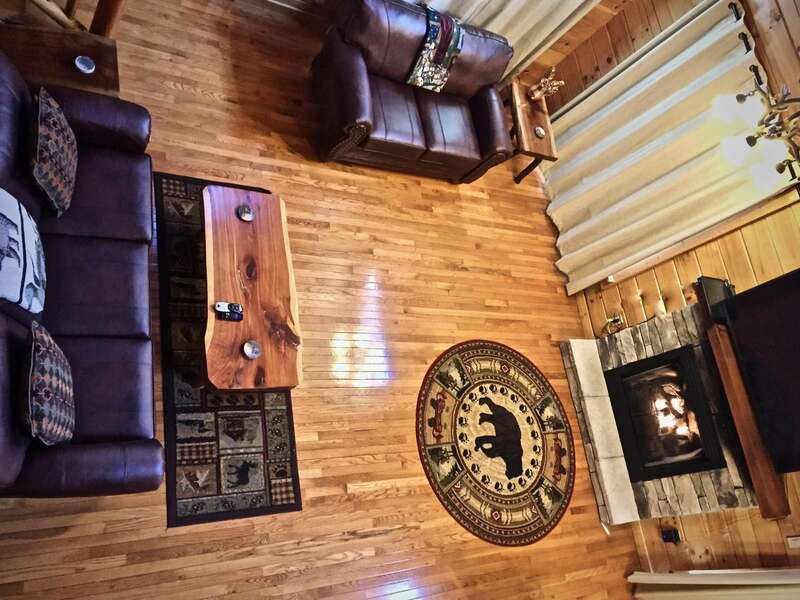 Cozy Fireplace and Large Flat Screen "Smart" HDTV Open and Light Floor Plan is Ideal for Gathering and Entertaining Brand New (2019) Leather Furniture offers Comfortable Relaxation So incredibly Private and Relaxing... Looking to the opposite side of the Creek, surrounded by Nature! 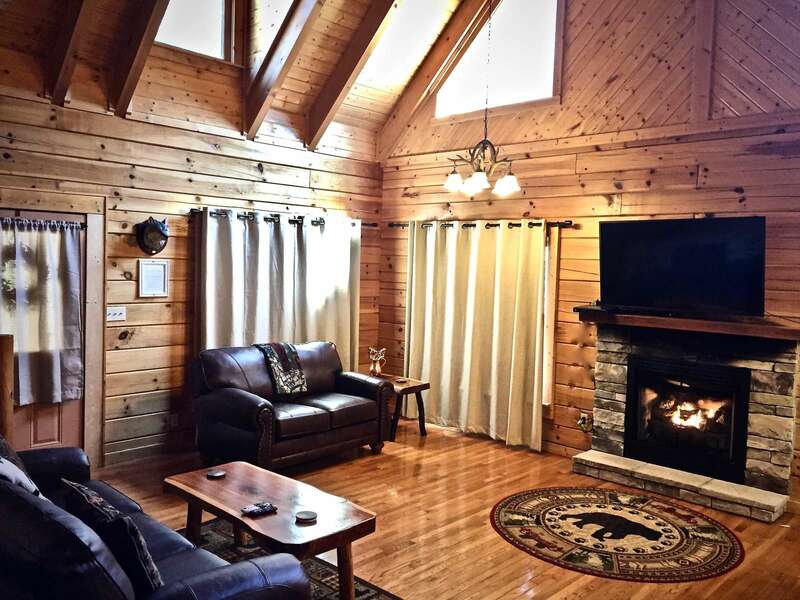 (Photo taken from the Fire Pit) Open Floor Plan with Log Dining Set Dining is convenient to the Kitchen and Living Areas Kitchen is fully stocked and the Granite counter tops offer ample space to Prepare your Meals! 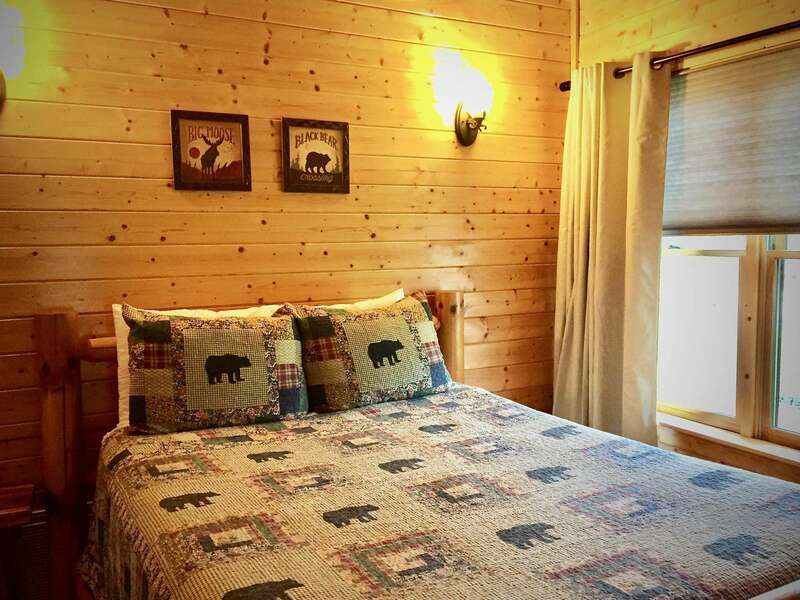 Trout Stocked and Hatchery Supported, Alarka Creek Second Master Queen suite upstairs offers Luxury Linens and Bear themed Decor One of the Master Suites Luxurious, Comfortable, Two Master Suites to choose from... Both Queen Suites are spacious Two Master Suites prepared with Queen Beds and Luxury Quality Linens and Bedding. 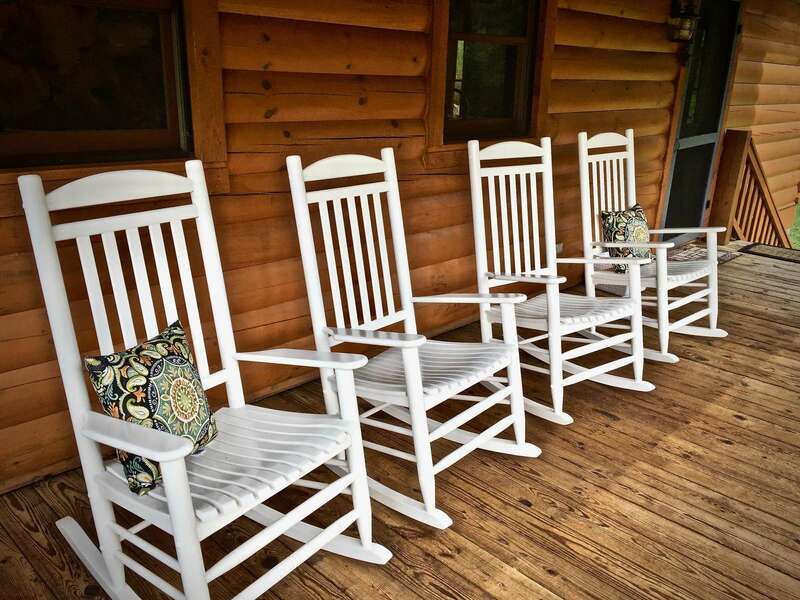 "In case you forgot something" size Guest amenities are provided Full Bathroom on the upper level Old fashioned Rocking Chairs, and two Spacious Covered Decks to enjoy the outdoors rain or shine! 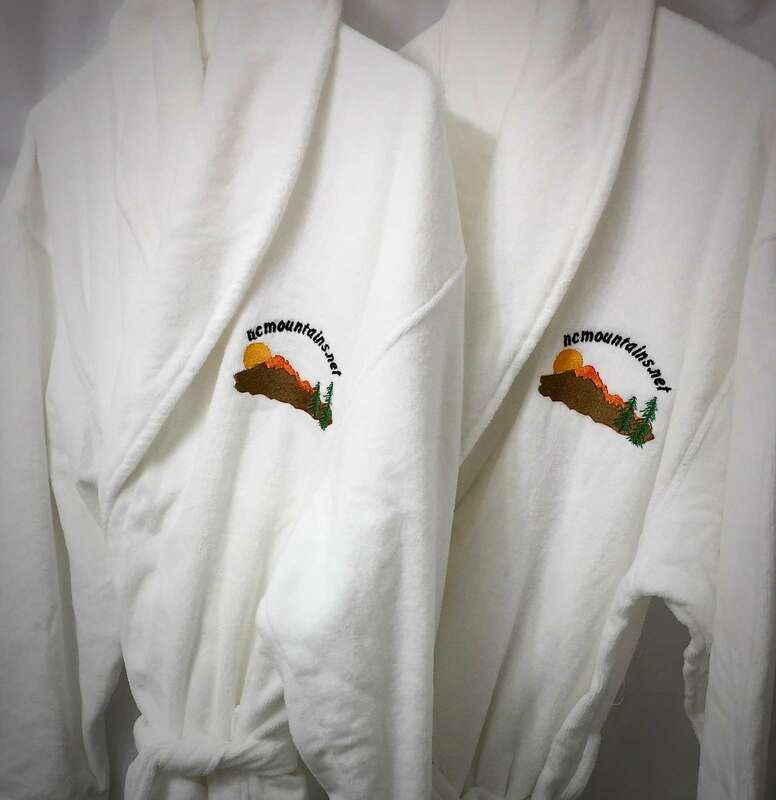 Fluffy Bathrobes are provided Hot Tub Deck The hot tub is ideal placed under the Stars and along side of the Creek Two plush bathrobes are available for your use during your stay The soothing sounds of the Creek are ever present Covered Porch, Fire Pit, and the Hot Tub, are all Perfectly placed along the Creek! Alarka Creek is Crystal Clear! 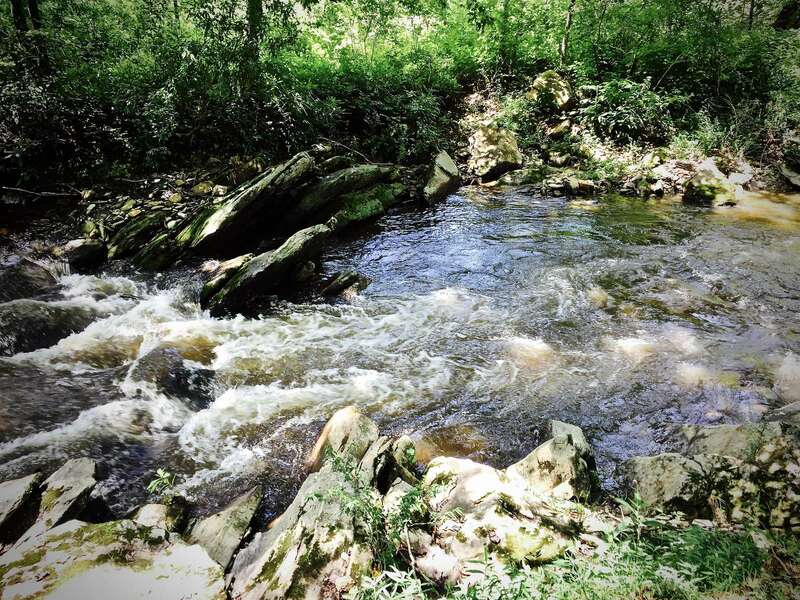 The ideal "Catch and Eat" Trout Stream... 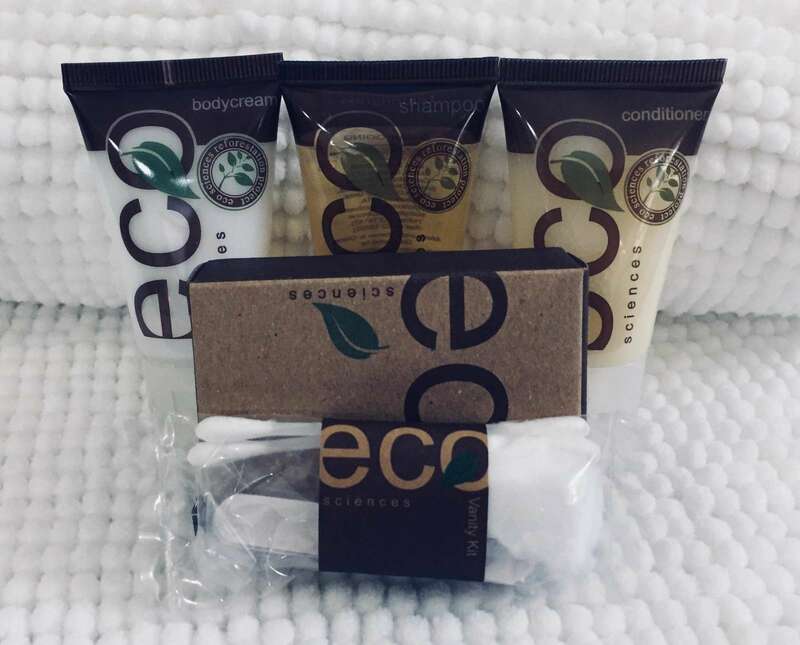 Calming, Soothing, Ideal setting to Relax away your cares! 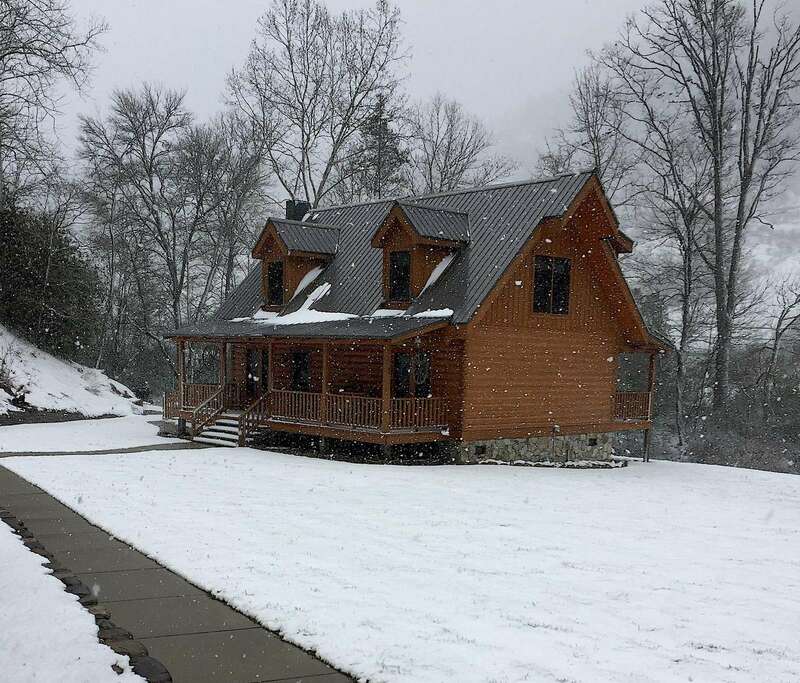 View of the cabin as you arrive A Winter Wonderland Pristine Setting is Very Private! Shady Creek Cabin was so much fun. When pulled up after a long drive, we were speechless. The cabin was more beautiful in person. 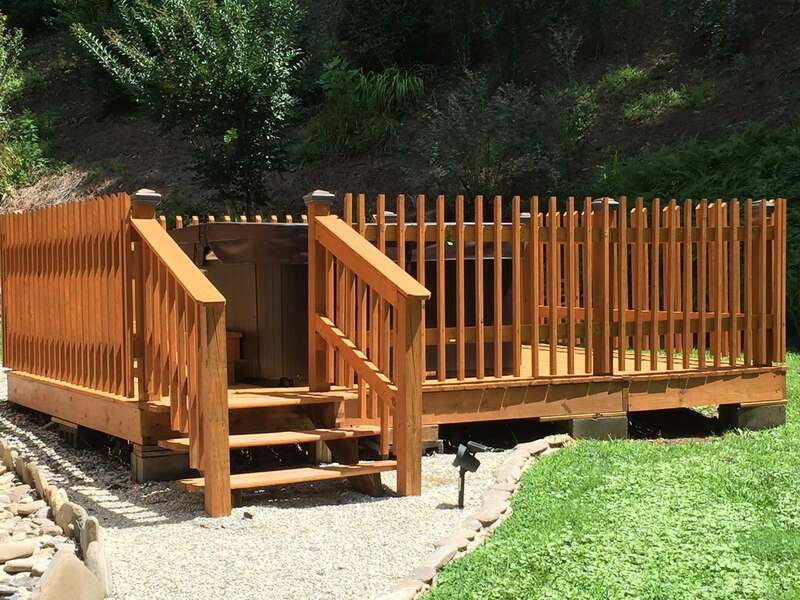 It is very private and has such lush greenery in every direction. We soaked in the hot tub, roasted marshmallows by the fire pit, tubed down the creek, hiked.... Had a blast! 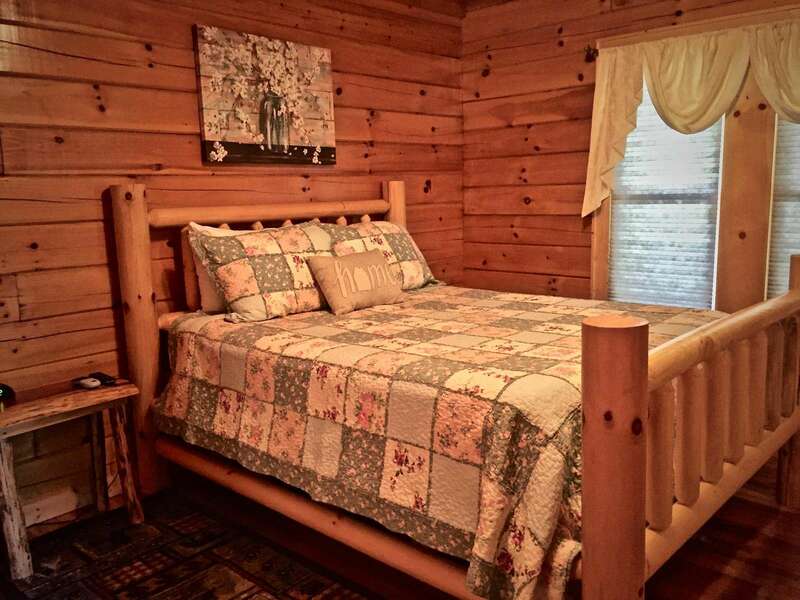 The beds, oh my! I have never slept so well away from home. That was a huge plus! The kids did a lot of fishing. 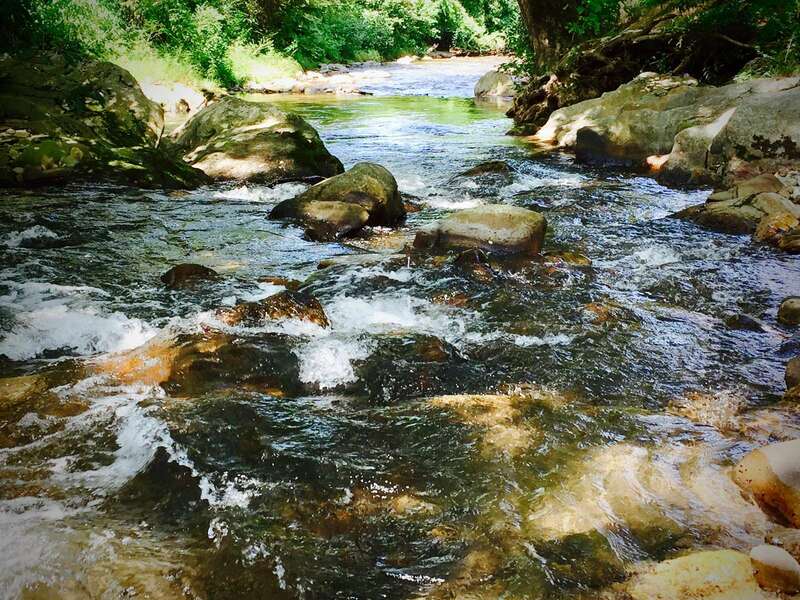 They have never had much luck in other creeks in the mountains. They couldn't even keep count anymore. It was crazy... They loved every second of it! We will definitely be back. 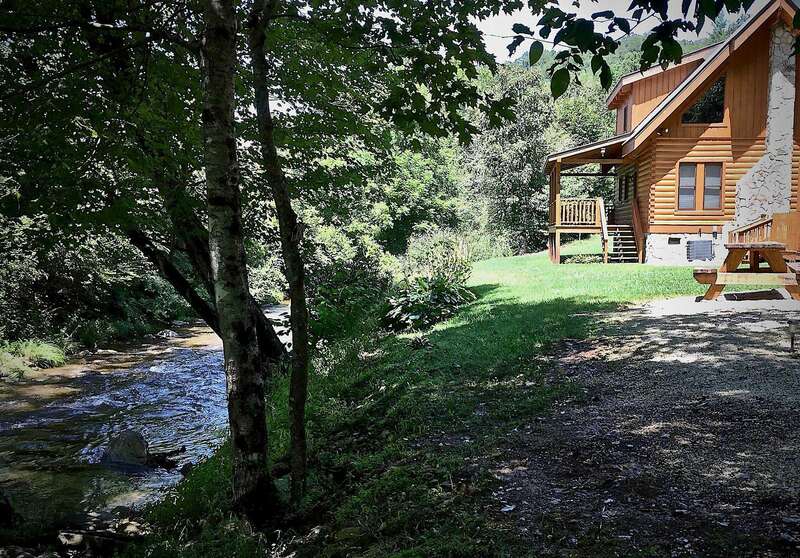 Shady Creek Cabin and it's private setting was perfect for what we were looking for. I can't forget the fireflies! There were so many at night. It was magical looking. 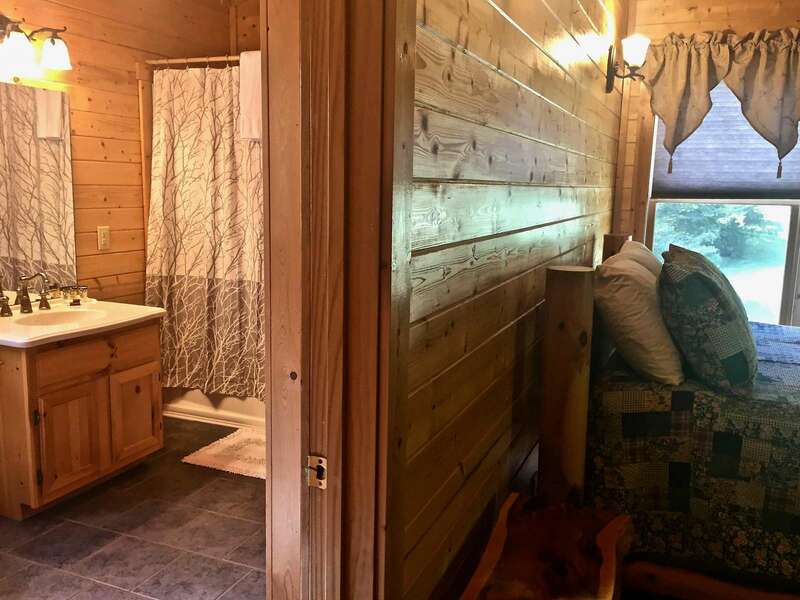 If I could rate this cabin 1 to 10, I would give it a 11! It was so wonderful and peaceful, with so many things to do right there on the property. Thank you so much for our time. Our memories were made and we are so thankful! 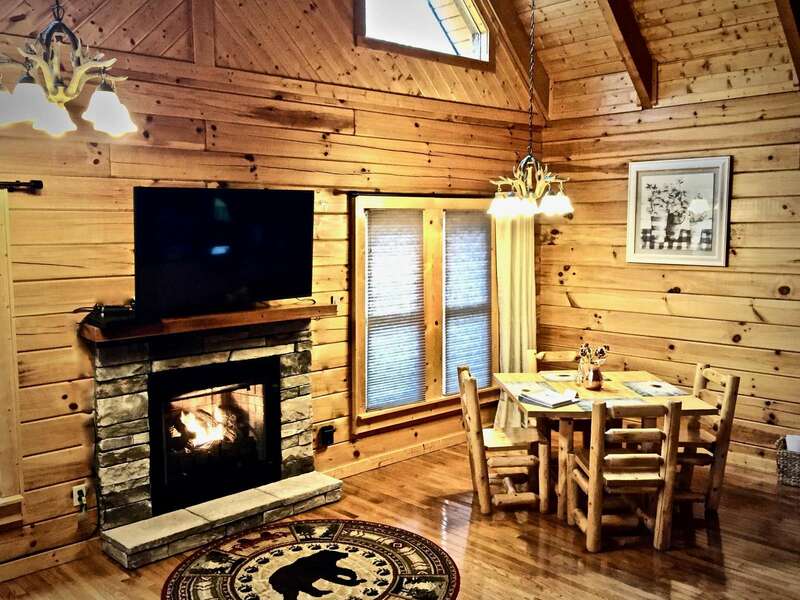 This cabin was wonderful,beautiful and better than imagined. The special touches that were provided were awesome. 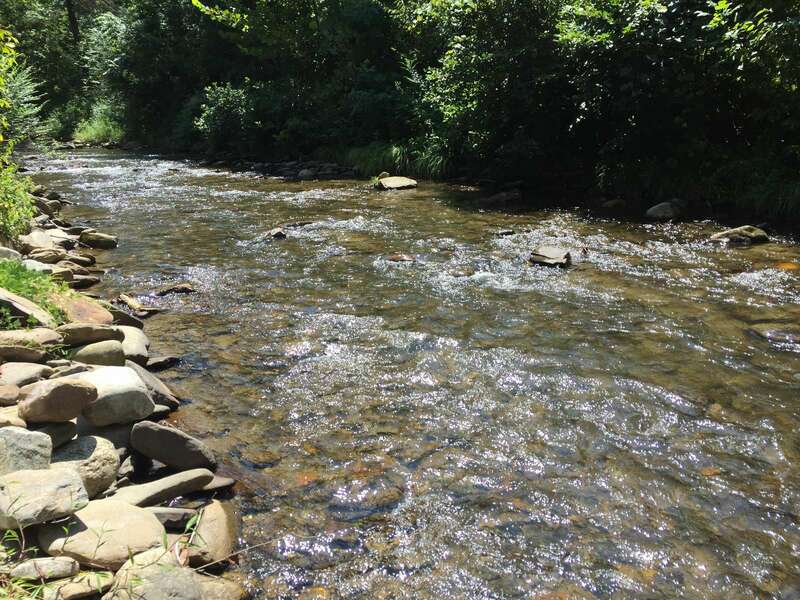 We could fish right from the back yard, caught enough fish for supper( brown, brook and rainbow trout) We had plenty of things to do when we were not relaxing in the jacuzzi, we rode the Great Smoky Mountain Railroad and saw a live outdoor drama “Unto These Hills”. 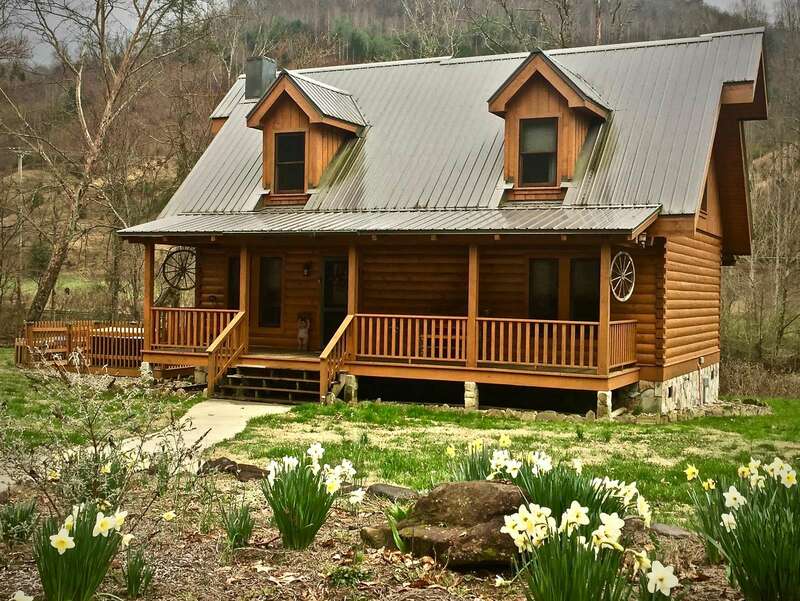 I am seriously thinking about renting this cabin again next year..... can go wrong with such a wonderful place! 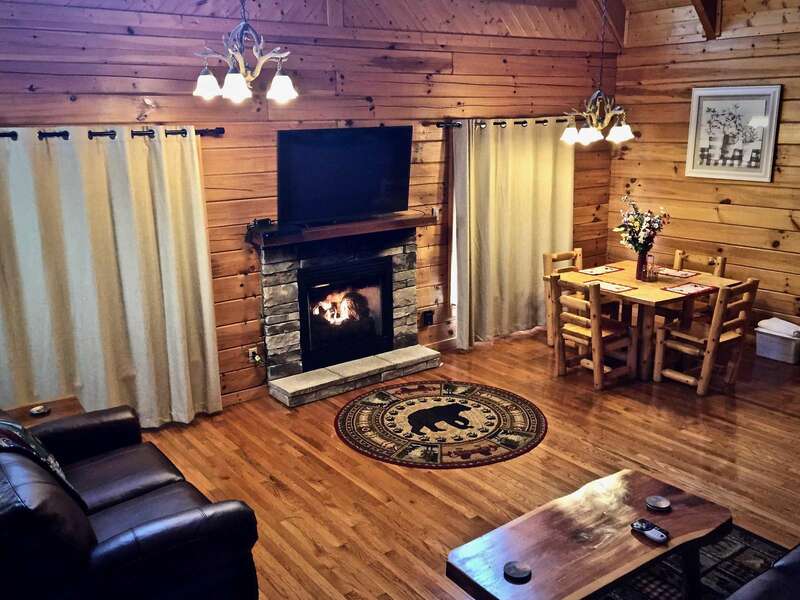 This cabin is a great spot to get away with family and/or friends. We had a fabulous time at the cabin, enjoying the creek, campfire and hot tub! 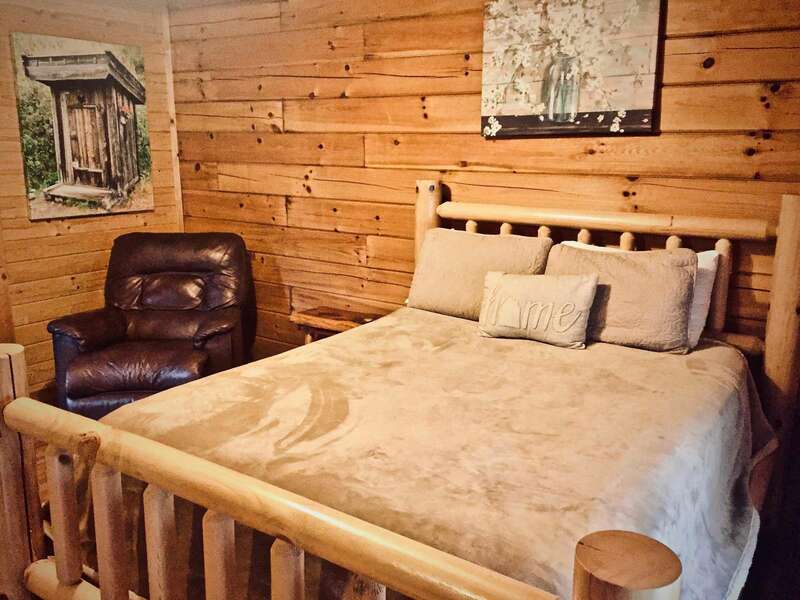 The pictures are very accurate of the cabin. It was spotless and very relaxing! I highly recommend! My husband and I spent the week of our 30th wedding anniversary at Shady Ceek and it was amazing. 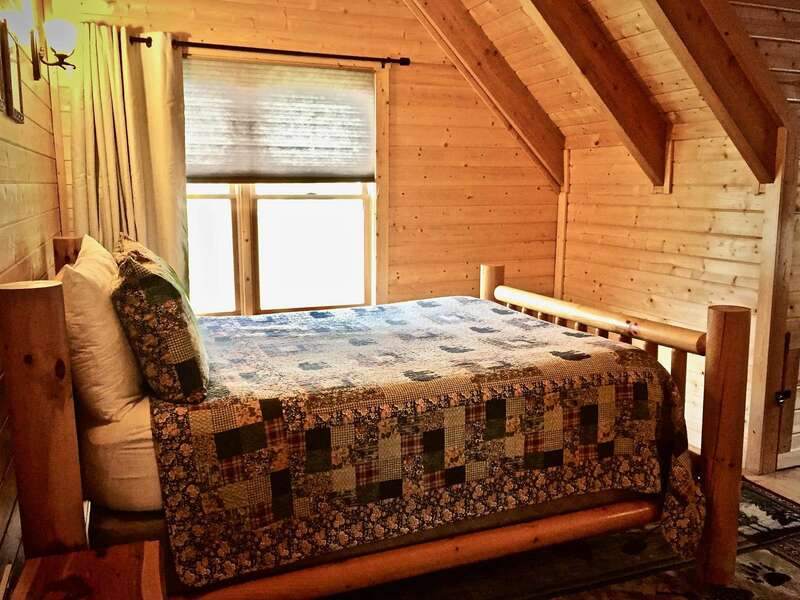 We were greeted by a beautiful open floored, vaulted ceilings, wood cabin decorated beautifully. It rained most of the week but we didn't care! We trout fished almost every day, took walks up and down creek bed, played cards, enjoyed the fireplace, hot tub and fire pit. It was the most relaxing and enjoyable trip we have ever taken. We WILL be back! Loved being right on the creek. My kids enjoyed fishing and playing in it while I could watch them from the back porch on a rocking chair. My girlfriends and I had the BEST time at this adorable cottage! So relaxing and feels like you're in the middle of nowhere, but it's really close to town! Everything was really clean and the owners/property managers were very helpful when we had questions. Highly recommend! We loved our stay at Shady Creek! Roasting hot dogs and marshmallows at the fire pit beside the creek was a perfect way to spend our vacation. 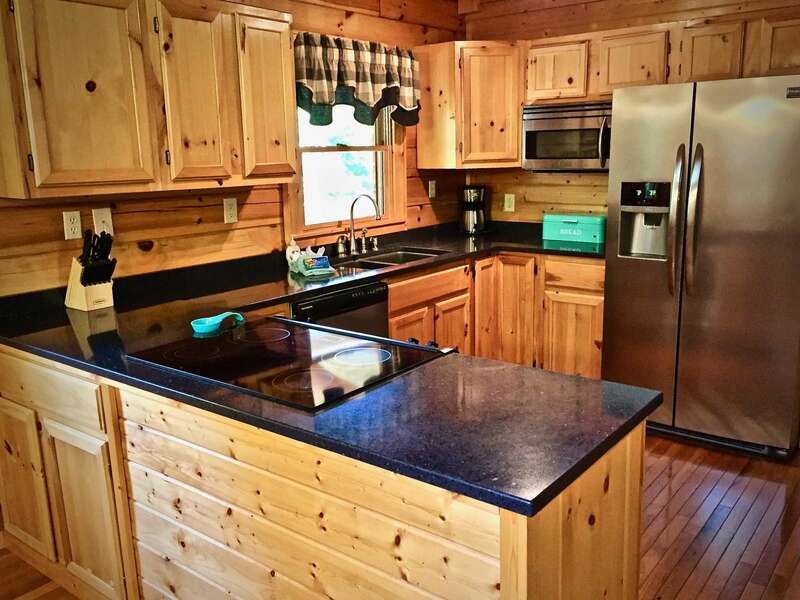 The kitchen was very clean and well stocked with dishes, glassware, utensils, and cookware including a griddle. 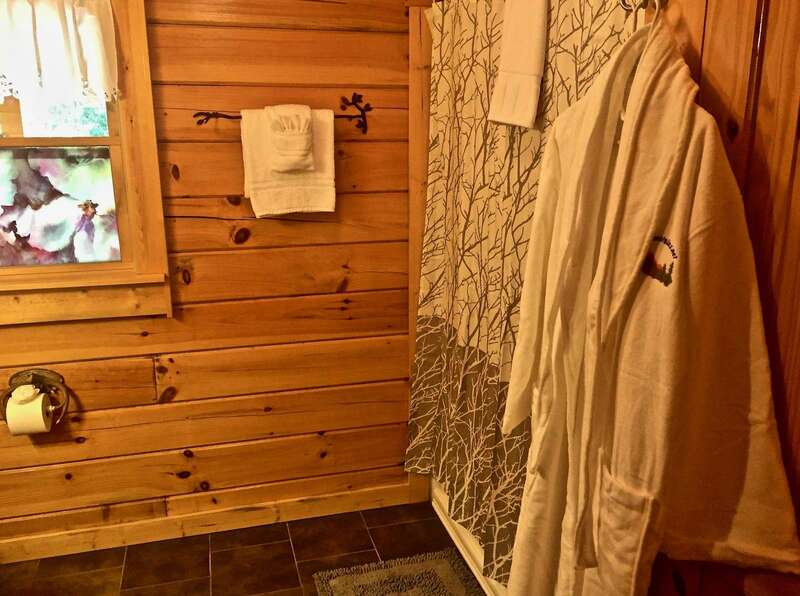 The owner also does a good job of keeping the cabin well stocked with towels which is helpful given the jacuzzi and Creek. My favorite thing was to open the windows and doors in the evening so we could listen to the Creek. This place was very nice and clean. We enjoyed the hot tub and beautiful creek. We also loved that it was pet friendly. We would definitely recommend! Shady Creek was awesome and just what we needed for a weekend getaway!!! We came with the kids for the Polar Express in Bryson City. Location was perfect, 10 minutes from town. 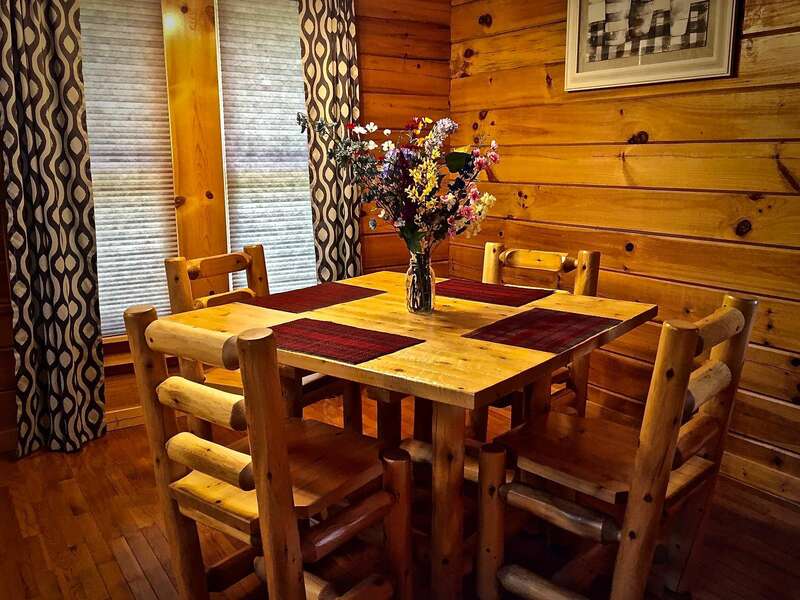 The cabin is very clean and new looking. 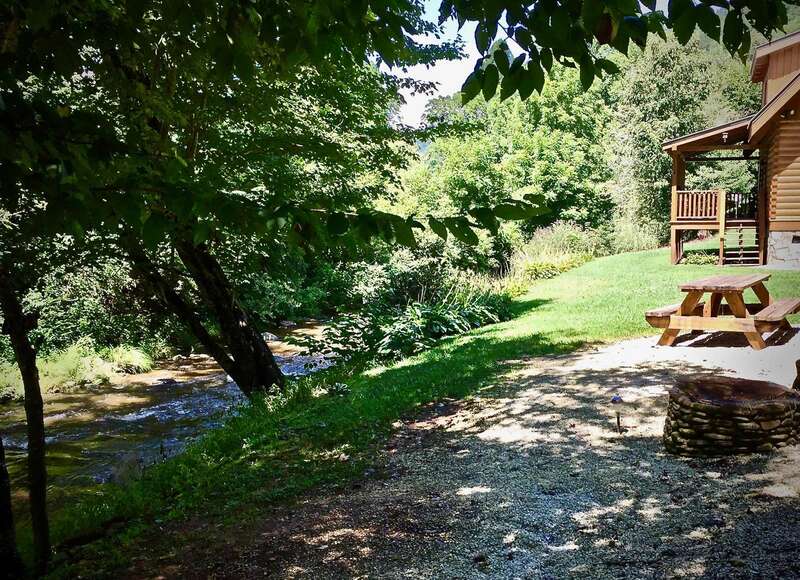 The property is beautiful with the creek in the back yard. It was a great experience and I would recommend to anyone. We stayed in Shady Creek Cabin for fall break. 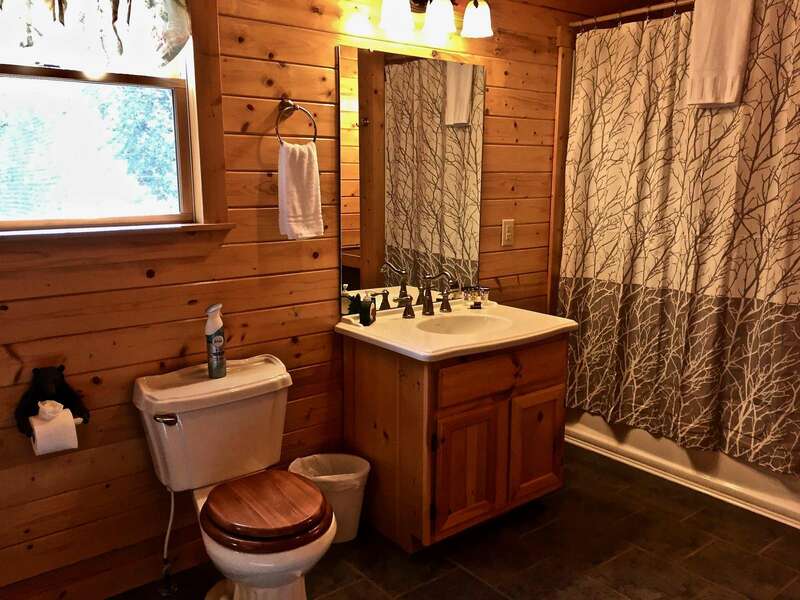 Cabin is even more beautiful than pictures show. Very well stocked up and just perfect charmer to relax after exploring Bryson City. Our boys loved playing in the creek while we enjoyed coffee on the back porch listening to creek and nature sounds. They tried fishing but no luck. 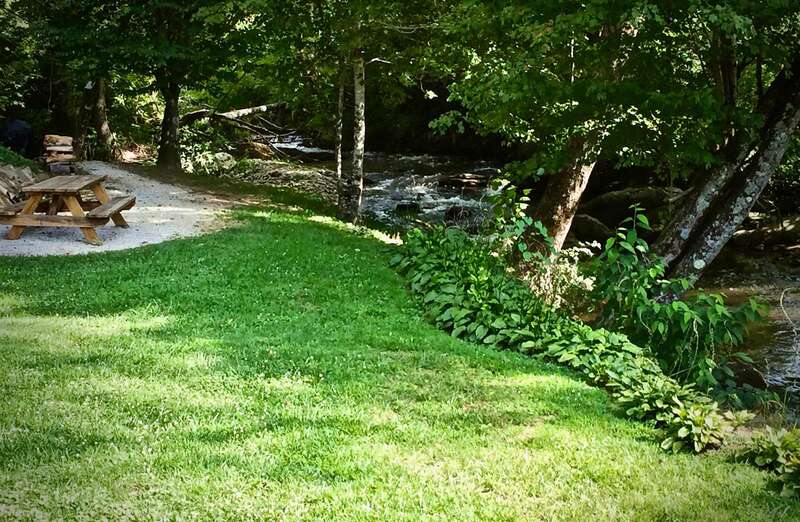 We went on the close by hike where three waterfalls are located, rode the train, went horseback riding and explored Nantahala Village. Our trip was a true adventure and Bryson City is a true relaxation point to escape from busy society. Grocery store is near by. We loved this cabin. Location was perfect. 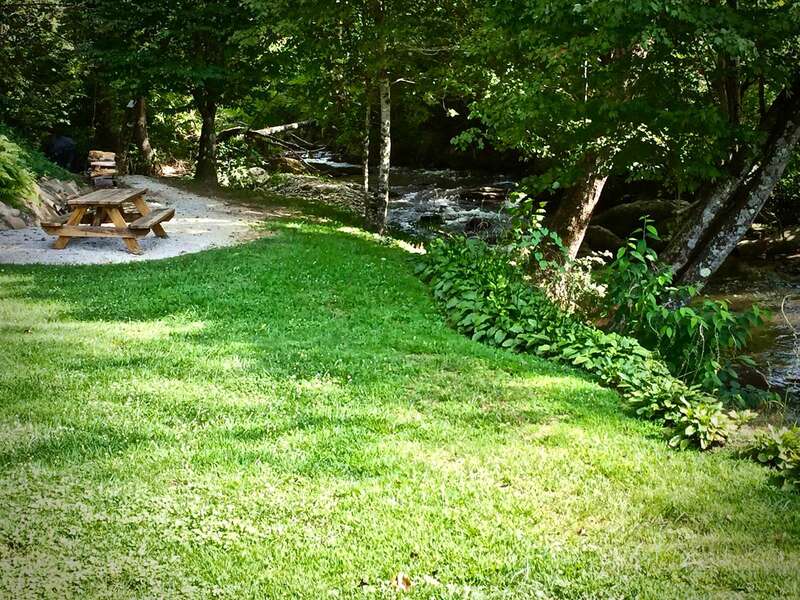 The stream, fire pit, and hot tub made this place unforgettable. My family will be back to visit. 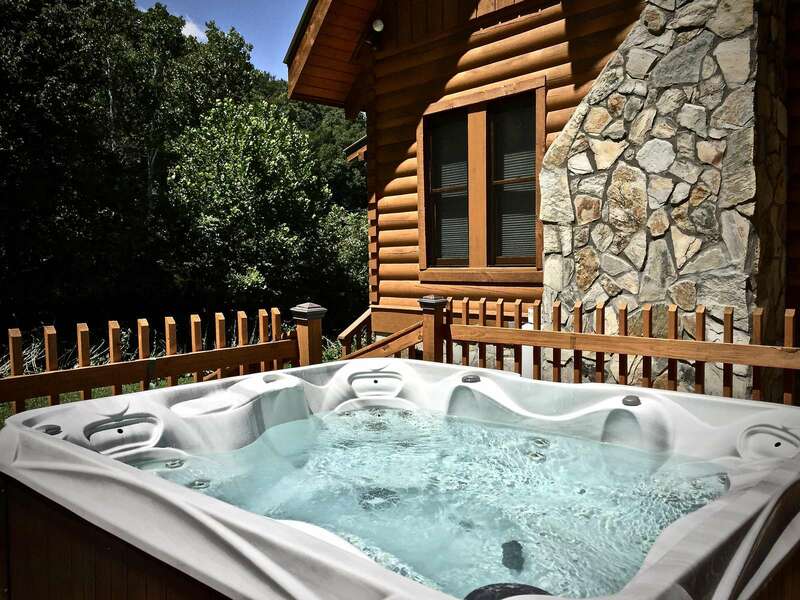 We love relaxing in the hot tub under the stars (make sure to turn off all of the lights)! Best nights sleep ever! 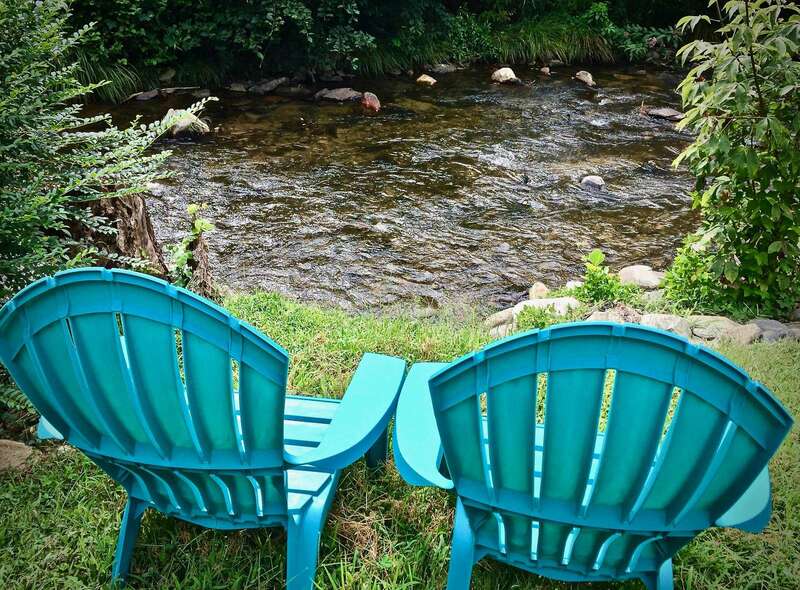 We slept with the windows open and the sounds of the rushing water of the Creek lulled us to sleep. Regrets? Yes, that we could not stay longer! 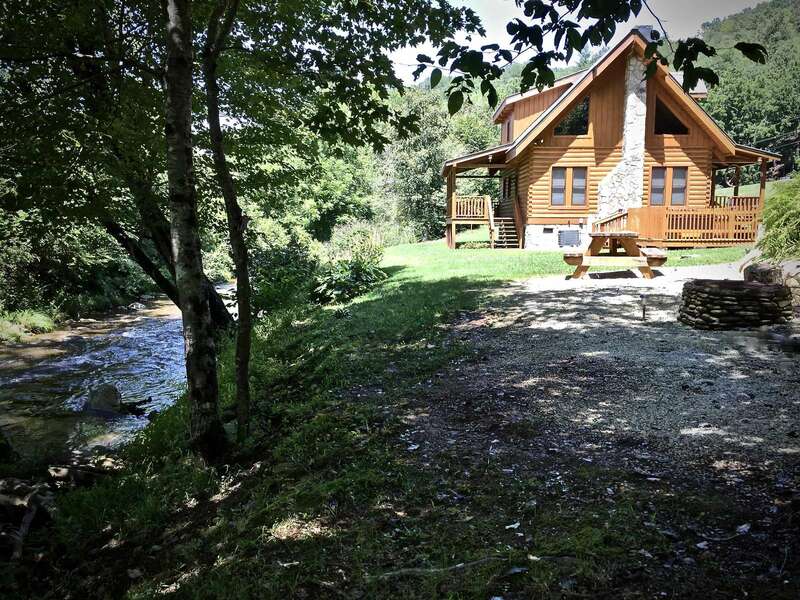 "Shady Creek" is brand new to our vacation rental program. Stay tuned for rave reviews to come!